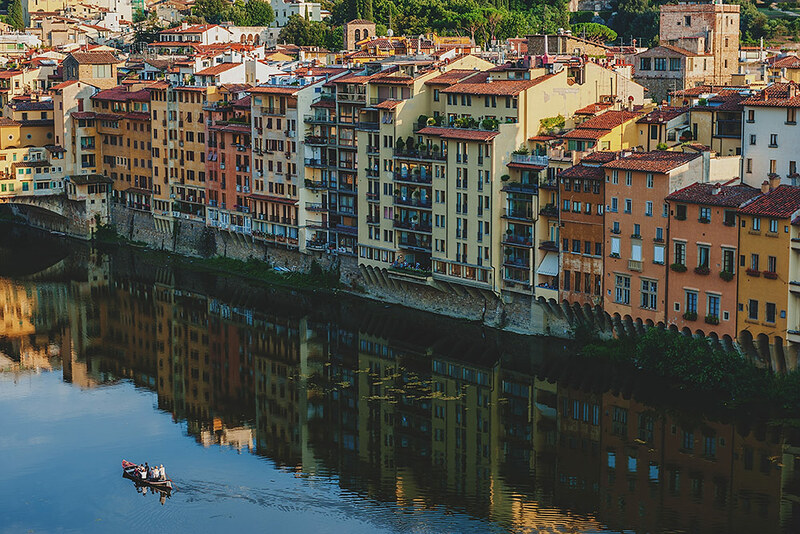 Are you dreaming to celebrate your Wedding in Florence? Discover Villa Laura and Casa Bella! Villa Laura is a splendid property, situated just 6 kilometres from the city centre of Florence. 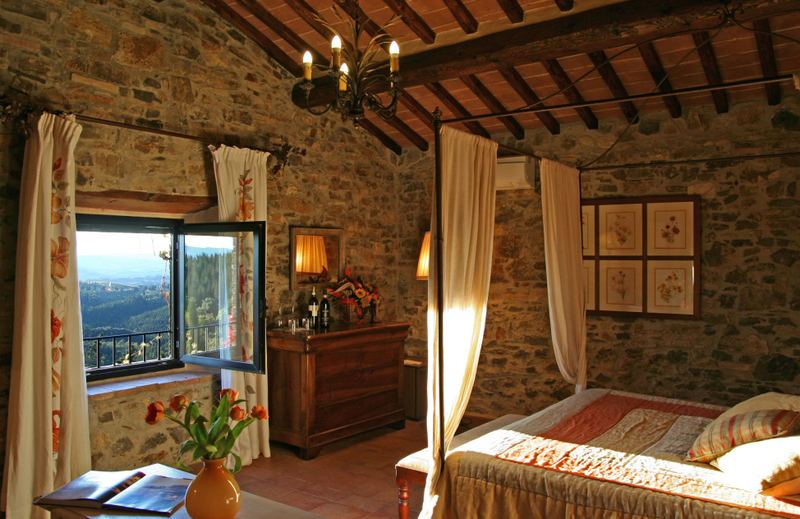 Villa Laura has a breathtaking views over vineyards, olive groves and the monastery of Florence. It’s an historical and charming country house of the seventeenth century which has now been restored and transformed into a Residence and Bed & Breakfast. In its interiors the villa include also large apartments with the best services and comfort. The stylish and relaxed atmosphere of this property makes it perfect for weddings and celebrations. Despite being very close to the town, Villa Laura offers great quiet and peace thanks to the hills around it and the narrow roads taking to the property. Look how amazing is the view from the swimming pool and imagine to have your wedding reception set in this place! Moreover the elegant furniture and the beautiful garden will make your big day even more special! A perfect combination of tradition and culture, Villa Laura offers comfortable and functional sleeping arrangements, suitable for couples, friends and families travelling with children. This wedding venue offers both rooms and apartments. On the ground floor there are a living room and a big common room. This fab venue offers accomodations for 27 pax plus other 20 beds available as a extra. Just 20 mins off Florence, surrounded by the rolling hills of the Chianti region you find Casa Bella. 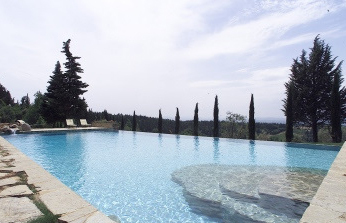 This splendid villa is situated on a hilltop in the Chianti area at a height of 400 meters. Its truly extraordinary position offers the guests of the villa an extensive view of one of the most beautiful areas of Tuscany. Here you can enjoy an extraordinary Tuscan landscapes with vineyards, forests and amazing cultivations of olive’s trees. 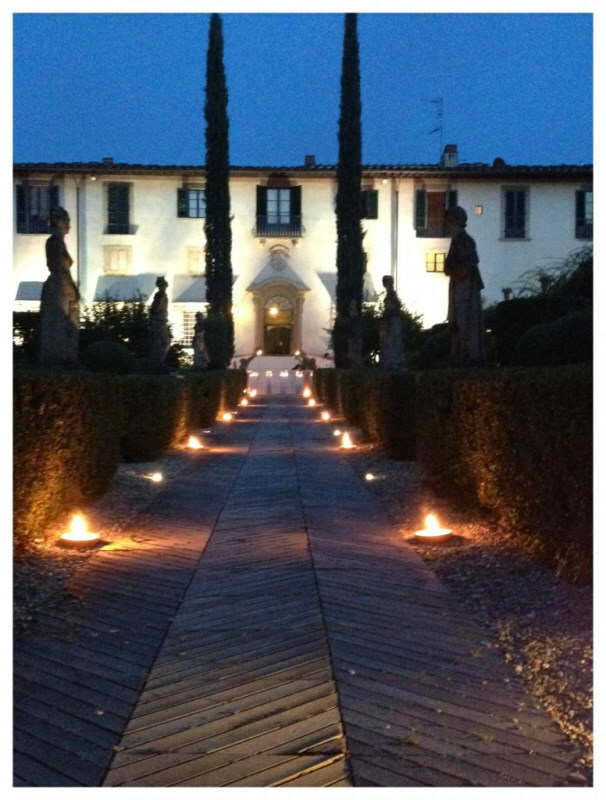 Casa Bella is the perfect place for celebrating weddings in the magic atmosphere of the Tuscan charm. The authentic beauty of the nature perfectly combined with the rustic of the stones, give to this place a warm and friendly atmosphere. On the ground floor you will find a large living-room with fireplace, a bar – equipped with professional espresso and cappuccino machine – and a charming dining-room with a central oval table. The rooms are restored in a simple and refined style; each of the 7 rooms is different and it has its own ensuite bathroom. Casa Bella has wide spaces that are at the guests’ disposal, among them a panoramic terrace for al fresco dinners, a covered patio for a relaxing aperitif and an infinity swimming pool. The Swimming pool is located in a panoramic position, it is stone-built. Inside the swimming pool you can relax while seated on a stone bench equipped with hydro-massage. 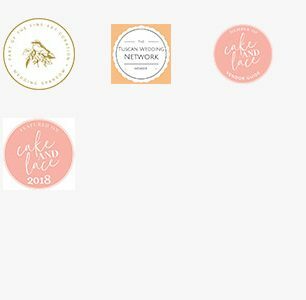 Do you want more info about these venues? Please contact us at [email protected] or fill our form here!